IBM has extended its range of Ubuntu supported systems with today’s announcement of the Power Systems LC models. Canonical, along with fellow OpenPOWER Foundation members – Mellanox, NVIDIA, Tyan and Wistron, collaborated with IBM on the development of these new 1 and 2 socket servers which are designed with big data and cognitive workloads in mind. Included in IBM’s announcement were new Power Systems LC models which address the requirements of MSPs (managed service providers, and HPC (high performance computing). Ubuntu support for the LC models will be available immediately upon their release later this quarter. This announcement builds upon the open innovation and benefits which our mutual clients are already reaping from OpenPOWER Foundation. Collaboration involving POWER8 Coherent Accelerator Processor Interface (CAPI) is a great example. Researchers at the University of Toronto are using Ubuntu with POWER8 CAPI, attached to a field programmable gate array (FPGA), to speed up clinical simulations, involving massive amounts of data, with the goal of improving treatments for cancer patients. And for realtime analytics, the Redis Labs NoSQL solution, combined with Ubuntu, leverages CAPI support, with tests demonstrating a reduced TCO via a dramatic reduction in the number of nodes required. 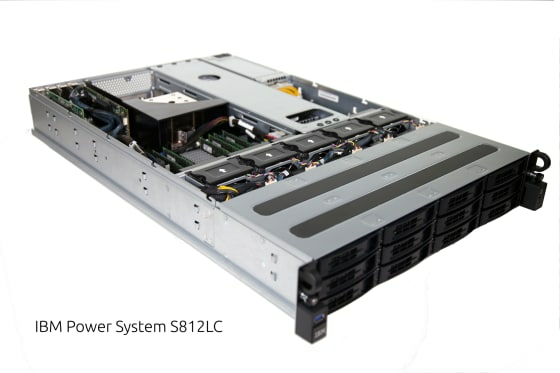 The IBM Power Systems S812LC model is designed for running Hadoop, Spark and other data intensive workloads. IBM and Canonical have collaborated to ensure that Juju charms are available on POWER8 for these solutions. With charms, we have made it easy to bring the various pieces together as a bundle to model and deploy, as demonstrated at the recent Strata Hadoop conference. Later this month, at IBM Insight2015, we will be providing a presentation, and demonstrating, how easy it is to model and deploy an Apache Spark production cluster with Juju Charms and POWER8. We hope to see you there!